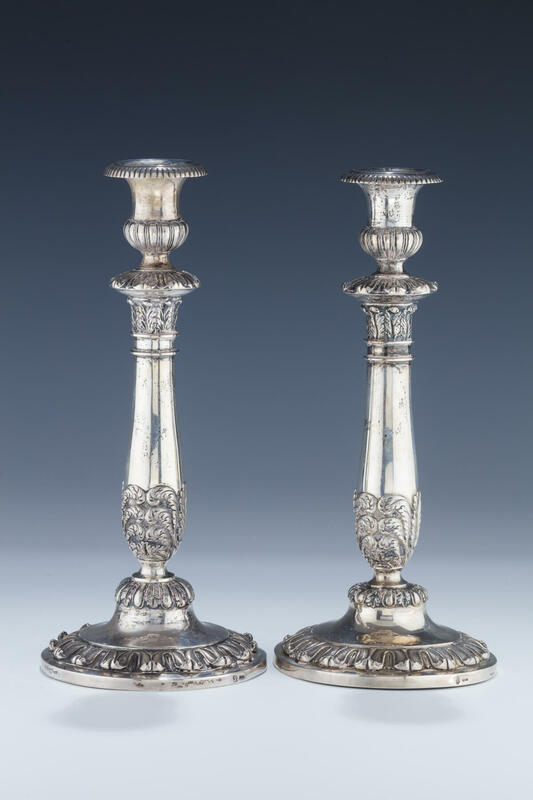 A PAIR OF EARLY SILVER CANDLESTICKS. Frankfurt, c. 1800. Round bases embossed with organic designs. Upper portion baluster shaped with decorated drip guard and original bobeches. Marked. 11” tall.